Working together, we can create a mountain of hope for the future of rural and tribal communities. The possibilities for sustained improvements in economic, environmental, and social health lie in the strength, innate wisdom, and creativity of local people—in their relationships with each other and the land. They know their communities’ needs and have good ideas for strength–based solutions. The possibilities for economic, environmental, and social health in the Northern Rocky Mountains and Great Plains lie in the strength of the people, especially our relationships with each other and with the land we love. In every community, there are not only good ideas, but community leaders who get things done and to whom others turn for help. There is now a renewed recognition of the importance of these special people, particularly in rural and tribal communities. Citizen leaders know their community’s people, values, beliefs, language, and ethnic characteristics. Given adequate resources, they can provide more meaningful services more efficiently and effectively than outside professionals can. Hopa Mountain recognizes the critical role citizen leaders play in their communities and we dream of what they could accomplish if they had access to more resources. Simply put, rural and tribal citizen leaders are the focus of Hopa Mountain’s work. Acknowledging the skills, talents, and positions within communities of these local leaders, Hopa Mountain endeavors to provide them with the means–primarily through training, networking, mentoring, and financial support–to generate and expand much–needed opportunities in their communities. Hopa Mountain invests in rural and tribal citizen leaders working primarily in the areas of early childhood education, informal science education, service–learning, ecological and human health, and nonprofit development. Collaborative efforts among rural and tribal citizen leaders are leading us towards more vibrant and sustainable local economies, increased protection of the environment, and local cultural traditions, and enhanced health and well–being. Citizen leaders are members of the community to whom others naturally turn for help. Different terms have been used to describe these individuals, including local community leaders, involved citizens, and active community volunteers. There is a growing recognition of the importance of citizen leaders in underserved communities, many which are home to ethnic and racial minority groups–people who have been historically marginalized from institutionalized education, leadership roles, and cultural, environmental, and health care systems. Because citizen leaders personally know their neighbors, share and understand local values, beliefs, social norms, language, ethnic characteristics, and community resources, they can provide more meaningful services and more effectively promote new ideas that foster positive social change than outside professionals can. 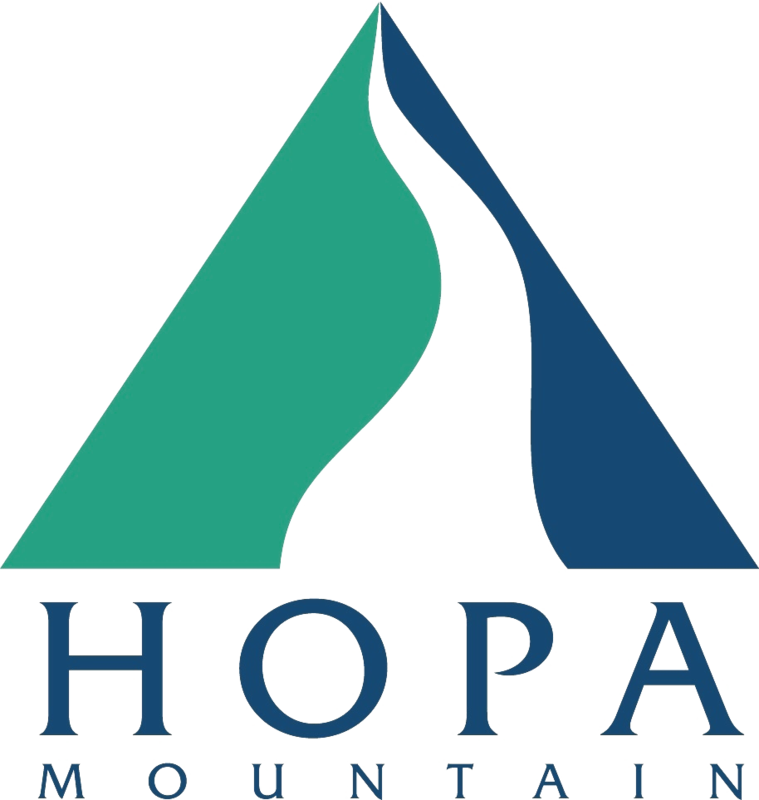 Hopa Mountain recognizes the critical role local citizen leaders play in nurturing healthy, vibrant communities. They are the focus of our work as we endeavor to promote the assets of rural living and strengthen the relationships between these communities and larger non-local organizations. It is through community–centered, creative partnerships that together we can create significant educational and economic opportunities, and promote ecological and cultural well–being in rural and tribal communities. What is Social Capital and why is it important? his book Making Democracy Work (1993), Robert Putnam describes social capital as those features of social organization–networks, norms of reciprocity, and trust–that facilitate cooperation for mutual benefit. Cornelia and Jan Flora, professors of sociology at Iowa State University have explored the importance of social capital in rural communities in the United States. The Floras argue that in addition to money and physical infrastructure, the nature of social relations should be recognized as a form of capital that is essential to healthy, effectively functioning communities. Their work demonstrates that communities with higher levels of social capital are more effective in addressing internal problems and external constraints. What is the connection between Citizen Leaders and Social Capital? Citizen leaders are a particularly concentrated and potent form of social capital. With sufficient resources, they are rural and tribal communities’ most efficient and effective agents of positive change. Hopa Mountain seeks to provide the resources and support local leaders need to promote community health and well–being to build community wealth. By making a monthly or one-time contribution to Hopa Mountain you are investing in citizen leaders, adults and youth, who are improving education, ecological health, and economic development.